Small Business Grants - £5,000 up for grabs every month! Small Business Grants: December winner announced! Our December winner has been revealed, but companies that have been set up and are actively trading can apply today, free of charge, for January's £5,000 competition. If you run a small business that has been set up and is actively trading, you can apply here. All we ask is that you fill in a single form talking about your business. Please note: companies may only apply for this competition every three months. Click here to see stories of previous winners. The winner of the October 2018 British Small Business Grants competition was Reach and Rescue Ltd. The winner of the Small Business Grants competition for September is wildlife products company Green&Blue. The business was founded in 2004 by husband and wife team Gavin and Kate Christman, who met while working at Dyson. Driven by a passion for nature and disillusioned with the offshoring of production happening at Dyson, the pair launched their first product, the Birdball birdhouse, which went on to win design awards from Wayne Hemingway. After launching the Bee Brick, a nesting site for solitary bees designed to be used in construction in place of a standard brick or block, the team has grown from two to seven staff, with a reported turnover growth of 160 per cent. The £5,000 grant will enable the company to launch a new product designed for swifts. The winner of the Small Business Grants competition for August is Purely Disposables, a Gwent-based eco-friendly packaging business. The company is focused on replacing single use plastic by supplying products that are 100 per cent compostable and made from plant waste generated by the food industry. Managing director Charles Richardson says the company has grown so fast that it has outgrown its ability to invest in the business. ‘We have a number of new products coming into the market that we are unable to fund, as future income will be needed for the research program we are working on with Cardiff University,’ he explains. The winner of the Small Business Grants competition for July is revealed as Ocean Spark Studios, a Yorkshire-based video game development studio creating its own in-house titles. Starting out in December 2016, the company began its journey working on its biggest title, Tetra – Elemental Awakening, a fantasy role-playing game (RPG) based on the periodic table. Company founder Zachray Cundall says the £5,000 will be spent on equipment to run its 3D software. ‘These laptops will not only help to assist with running workshops and teaching students inhouse, but it will also provide jobs for QA testing when it comes to testing our own titles,’ he says. The winner of June’s Small Business Grants competition is revealed as Parcours Velo, set up in 2016 to provide high-performance wheels for cyclists. Founder Dov Tate identified a gap in the market between high-end, high-priced wheels, and lower-priced wheels. ‘Our entire product range has been wind-tunnel tested and shown to deliver equal performance benefits to competitors at 2-3x the price,’ he adds. Since launch, the company has had a number of positive reviews from the cycling and triathlon media, including a prestigious ‘Best Buy’ award from 220 Triathlon magazine. The £5,000 will be spend on tooling and wind tunnel studies in North Carolina in the US. 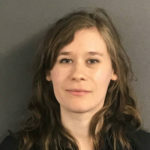 The winner of May’s £5,000 Small Business Grants competition, as adjudicated by our panel of independent judges, is Consequential Robotics (CQR) specialising in robotic networked devices that seek to empower people to maintain independence as they age. The winner of April’s £5,000 Small Business Grants competition, as adjudicated by our panel of independent judges, is Olly’s Olives, which aims to shake up the olive market with its unpasteurised snack pouches. Founder Olly Hiscocks studied neuroscience at the University of Manchester and landed a place to study post-graduate medicine, but always wanted to start his own business. ‘This money will be an absolute game changer for the business and would actually allow me to finally employ a full time salesman to help me manage the sales process in the business,’ Olly says. Well&Truly was born when sisters-in-law Maria and Sarah Trechman saw an opportunity for an innovative and exciting brand with great tasting, healthy snacks, whether lower fat, fewer calories or lower sugar. In the space of a year and a half, the company has supplied Tesco in over 1,000 stores nationwide, brought five products to market and has twice been voted a top 100 UK start-up. The business, which currently consists of its two co-founders, one permanent employee and one intern, also counts Wholefoods Market, Ocado, Booths and WH Smith as stockists. The grant will allow the company to take on one more member of staff part-time for three months to set the operation up for international expansion and push export sales. ‘With Brexit looming we need to diversify our customer base as much as possible and winning new retail and wholesale customers abroad is a big part of future proofing our business,’ Maria says. The winner of February’s £5,000 Small Business Grants competition is Cypher, an educational company that teaches children between the age of 4 and 14 how to code during the school holidays. Cypher’s camps run for a full week and incorporate real world themes such as fashion, architecture, digital art, music and nature, into its camp days to show children how technology can be used creatively in any way they can imagine. CEO Elizabeth Tweedale says the company strives to provide a fun, energetic, enriched and comprehensive education for all of its young students. Our judges commended Cypher on addressing key market requirements. Rennie Schafer, CEO of the Self Storage Association says, ‘[This is a] business aiming to educate todays children on the technology they will take for granted tomorrow. The winner of the December/January Small Business Grants competition is online textbook subscription service Perlego, collecting £5,000 to invest in new services key to the company’s growth. Billed as the ‘Spotify for textbooks’, Perlego claims to be the first and only SaaS platform offering unlimited access to academic e-books on a subscription basis. With the £5,000 prize, founder Gauthier Van Malderen plans to improve the scalability and usability of the current platform. The winner of November’s £5,000 Small Business Grants competition is revealed as Synap, an educational learning platform for students, professionals and hobbyists. Using memory science and artificial intelligence, Synap lets people engage with short, multiple-choice quizzes, and uses the data generated to create a personalised learning plan for each user, based on their own strengths and weaknesses. Gupta says the plan is to spend £2,000 of the grant money on marketing materials (design/events/stand equipment, brochures, flyers), £2,000 on digital marketing (PPC/social ads), and allocate £1,000 for miscellaneous expenses. 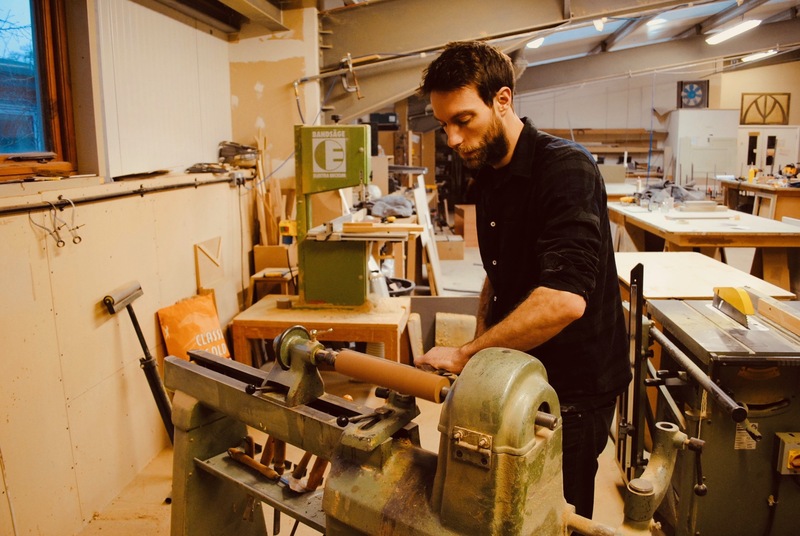 ‘The £5,000 comes at a perfect time when we were looking for a way to scale up our sales/marketing pipeline and start bringing in new clients across a range of industries,’ he adds. On December 17th 2010, University of Sheffield students Alex Baker and Chris Rose used a helium balloon to film the Earth from the edge of space on a shoestring budget. The project would inspire Sent into Space, a company offering marketing, research and education with a focus on near space. The company has also launched a service that scatters the ashes of the deceased from space. The £5,000 grant will be instrumental for investment in key equipment to streamline processes. Our Small Business Grants scheme is sponsored by Worldpay, Salesforce, Opus Energy and Yell Business and Frontierpay. These partners are specialists in the small business sector and are focused on offering products and services tailored for SMEs. For more information about what they can offer your business, please visit our sponsors page here. 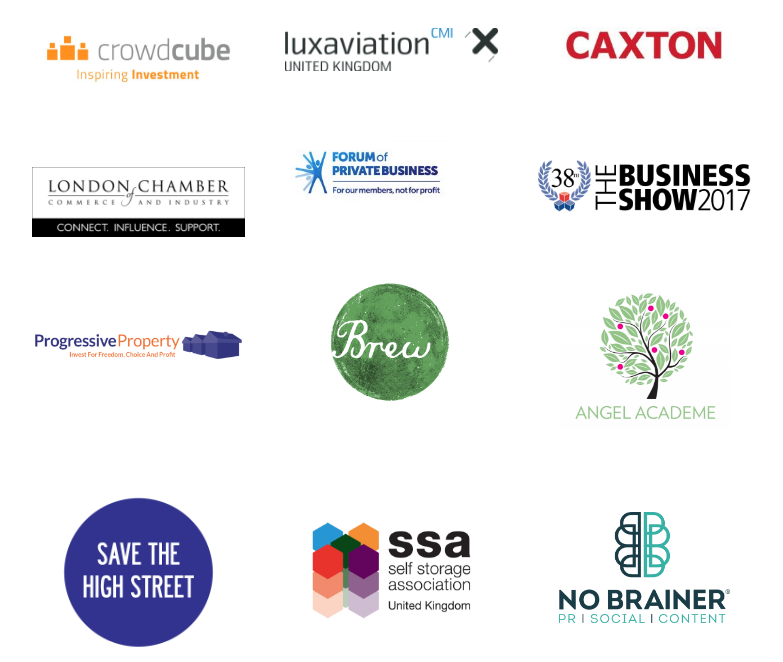 We would also like to thank our partners, SaveTheHighStreet.org, No Brainer, the Forum of Private Business, London Chamber of Commerce, Angel Academe, Luxaviation UK, Caxton, Progressive Property, The Self Storage Association and The Brew.